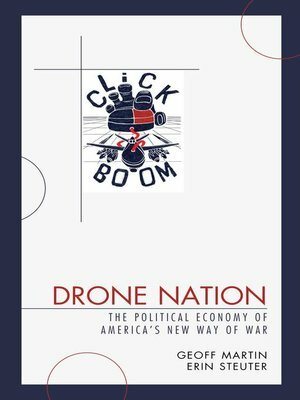 Drone Nation unveils an unexpected scenario where international drone warfare leads to a state of permanent war through increasing numbers of assassinations of the western world's declared enemies. It provides historical context for the rise and acceptance of drone warfare and examines likely future impacts. The book discusses the broad political-economic forces at play in the United States. Topics include US strategic traditions, domestic political institutions, military-industrial complex, intra-military pressures, think tanks, media, and international law. The authors argue that social progress is not necessarily continuous. While there was widespread social and economic progress from the 1950s through 1970s in the United States, the country is now in a period of economic and political regression. The rise of drone warfare, and the domestic use of drones, is partly to blame. This gradual and important change signals a major departure from the traditional embrace of international law, military ethics, and domestic privacy. Geoff Martin is assistant professor of political science at Mount Allison University.Erin Steuter is professor of sociology at Mount Allison University.